Sennet's, topside armament was increased to two 5-inch guns, two 40-millimeter guns, and three .50 caliber machine guns before departing Pearl Harbor for her first war patrol on 5 January 1945. When the war ended in the Pacific, Sennet was assigned to the Atlantic Fleet and operated from New London, Conn. 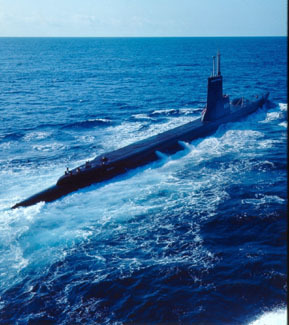 In June 1946, she was reassigned to Submarine Squadron 6 at Balboa, C.Z. From 10 December 1946 to 13 March 1947, Sennet participated in Operation Highjump, the third Byrd Antarctic Expedition.